Custom Masonry’s Chimney Specialist provides full service for all your chimney needs. Our Chimney Sweep will clean and inspect your chimney and assess any additional chimney services you may need. We offer chimney cleaning, inspection, repair and relines; as well any masonry needs. We have over 20 years of experience serving Missouri and Kansas including: Kansas City, Independence, Lee’s Summit, Blue Springs, Grain Valley, Raytown, Leawood, Overland Park, Shawnee, Bonner Spring, Belton, Raymore, Liberty, Cass County, Johnson County, Jackson County, Bates County, Miami County, Clay County & Platte County. 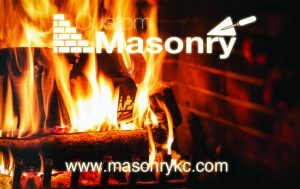 Experience, quality, price and credentials make Custom Masonry the best choice when selecting a chimney care professional in the Kansas City area.